Blog on Monday, blog on Wednesday ... again on Friday. Is it starting to feel like the movie, Groundhog Day? You keep hearing the same thing - blogs are important for your business. It’s imperative that you post frequently and stay current with the latest topics and your industry news. Also, your marketing department or web marketing company is advising you to coordinate your blogs with company promotions, product launches, and advertising. Why are your company blogs so important? They have a proven track record for increasing search engine traffic to your web site. It’s important to turn your blog engine into a well-oiled machine. And not just because “everybody’s doing it,” but because it will prove beneficial to your business and its bottom line! And by the way, everybody is doing it - from McDonalds to Southwest Airlines to Babycakes Bakery. 1. Cost-effective. According to HubSpot’s 2010 State of Inbound Marketing report, inbound marketing -- which includes such Internet marketing methods as blogs, social media marketing, and search engine optimization (SEO) -- are more cost-effective for lead generation than outbound marketing tactics such as advertising in broadcast media. Internet marketers that spend more than half of their marketing budgets on inbound marketing methods – which are designed to pull leads to them - spend 60 percent less per lead than those who spend their marketing money on traditional outbound marketing. 2. Communication. Your blog is a great tool to communicate with potential and current customers in a direct and informal way. You’re not pressuring your clients; instead you’re providing useful information they’re already searching for. Your blogs demonstrate expertise and experience to potential customers. They can also support your current customer base, resolving issues traditionally handled by phone-based customer service. 3. Directly Drive Sales or Action. Blogs influence roughly one in five readers at important purchase-decision stages. Specifically, blogs help consumers discover products and services, refine choices, get support and answers, and decide on a specific product or service. 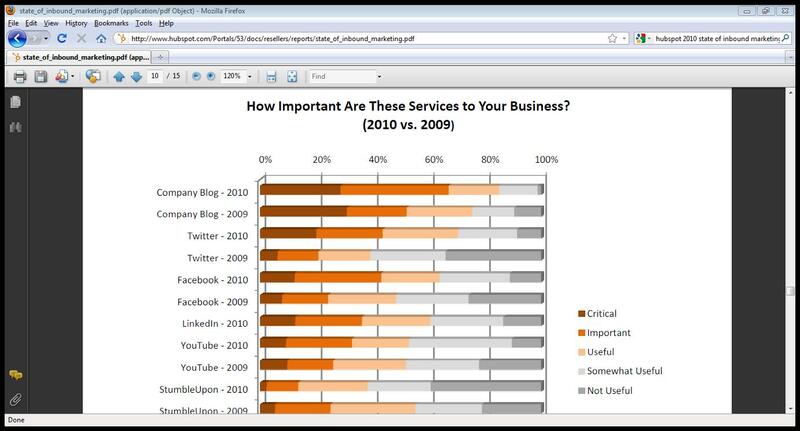 Readers report that they trust blog content more than social media sites for shopping. Logically, the next step the consumer will take is to make a sale or request company information. One of our clients, Zetta, is operating a business blog that is proving itself and working to deliver its intended results. 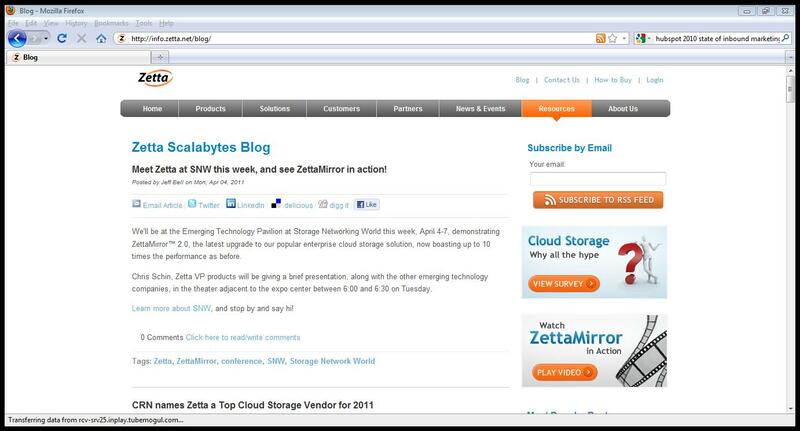 Zetta is an Enterprise Network Storage business. Zetta delivers immediate, offsite data protection for enterprise data; its service enables businesses to quickly adopt storage-as-a-service, protecting and recovering their data without expensive or risky changes to information technology environments. Now, if Zetta holds a presentation at an event, we can blog a video of their presentation and simultaneously promote it on Facebook & Twitter -- this is designed to be engaging with Zetta customers. As a result, Zetta’s direct and organic traffic, referrals and social media visits have all seen increases. Which companies do you think are getting it right with their company blogs? And who do you think should jump on board? There's always more questions about blogging, and everyone has their own methods, so if you have questions, drop us a line!